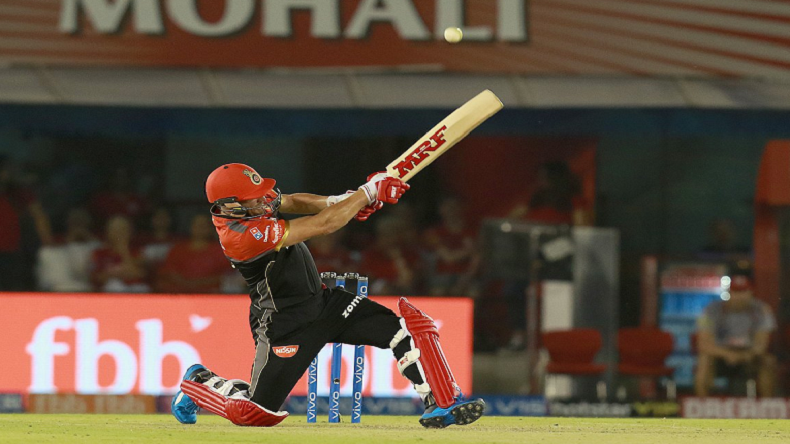 IPL 2019: Royal Challengers Bangalore register 1st victory after 7 matches, beat Kings XI Punjab by 8 wickets: Finally, after seven matches Royal Challengers Bangalore have opened their account in the Vivo IPL 2019 by defeating Kings XI Punjab. It happened due to the batting of Ab de Villiers, Marcus Stoinis and Virat Kohli. The team is still lying at the last spot in IPL points table. IPL 2019: Royal Challengers Bangalore register 1st victory after 7 matches, beat Kings XI Punjab by 8 wickets: Virat Kolh-led Royal Challengers Bangalore clinched the first victory in the Indian Premier League (IPL) 2019 after thrashing Kings XI Punjab by eight wickets. Chasing down the target of 173, RCB got a steady start as Parthiv Patel and Virat Kohli made 43 in 3.5 overs. After that Ab de Villiers joined skipper and both the took score to 128 in 16th over. Kohli was dismissed for 67 off 53 balls. The team needed 44 off 24 balls with eight wickets in hand. Ab de Villiers and Marcus Stoinis were on the crease. They chased the score with four balls to spare. For Punjab, Ravichandran Ashwin and Mohammed Shami claimed one each wicket. Batting first, Punjab got a decent start as its openers Lokesh Rahul and Chris Gayle played a 66-run partnership. Rahul was the first victim who fell for 18 off 15 balls. One-down batsman Mayank Agarwal was dismissed for 15 off 9 balls. Sarfaraz Khan also made 15 off 13. It was the Caribbean star who helped Punjab to post 173 on the board. He remained unbeaten on 99 off 64 balls. He smacked five sixes and 10 boundaries. It is going to be tough for Bangalore as they need to win at least six more games. Meanwhile, there would be a double-header on Sunday. In the first match, Kolkata Knight Riders would face Chennai Super Kings and the second contest would be between Sunrisers Hyderabad and Delhi Capitals. Chennai have won six out of seven games and are topping the points table while Kolkata are staying at second spot with 8 points. Hyderabad have won three out of six matches while Delhi won four out of seven matches.